When I lived in Philadelphia from 2001- 2009, I was choreographing and performing modern dance. During that time, I also performed as a theatre clown with Clowns Without Borders traveling internationally to make children laugh. 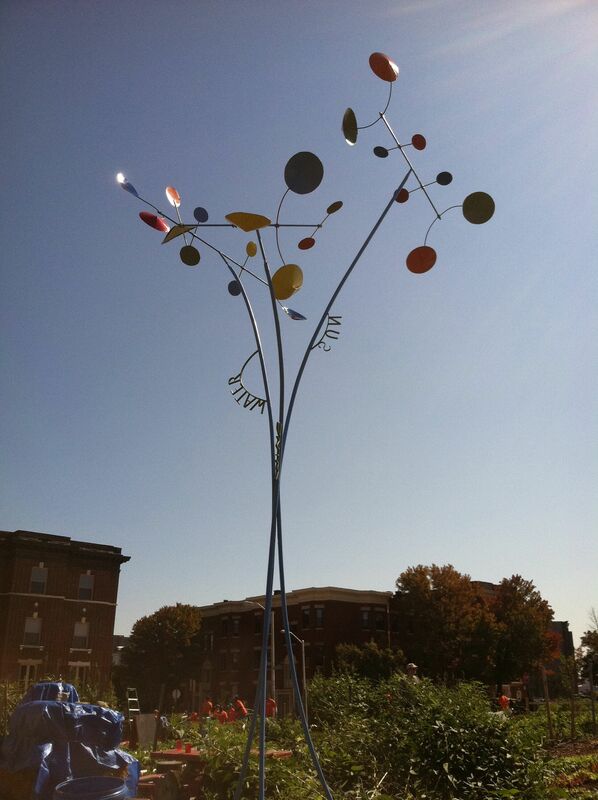 When I moved to Baltimore, I worked at Wholly Terra in Hampden, welding and making stained glass sculptures. Traveling in Haiti with Clowns Without Borders, I became increasingly interested in sustainability and self-sufficiency, after being awestruck by the implications/connections between deforestation, lack of healthy drinking water, and poverty. I began pursuing sustainable agriculture in my quest for personal self-sufficiency and wanting to help others grow their own food. Baltimore. In 2010 we began building a neighborhood-supported agriculture project growing healthy, sustainable, and affordable produce for the residents in our neighborhood. 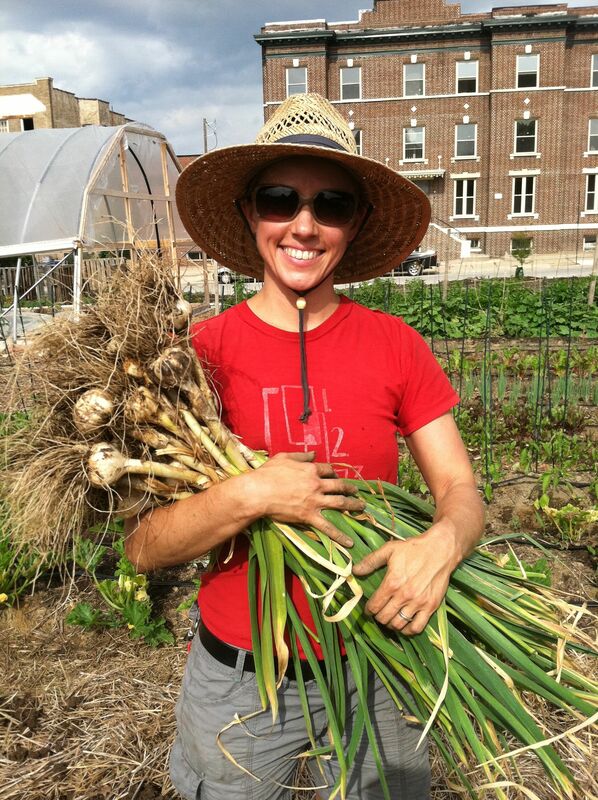 In addition to growing food for the community, the farm implements its mission through farm-based learning programs such as gardening and cooking classes for children and adults. We believe that everyone has a right to affordable, healthy, quality food accessed in a way that is environmentally sustainable and socially just. 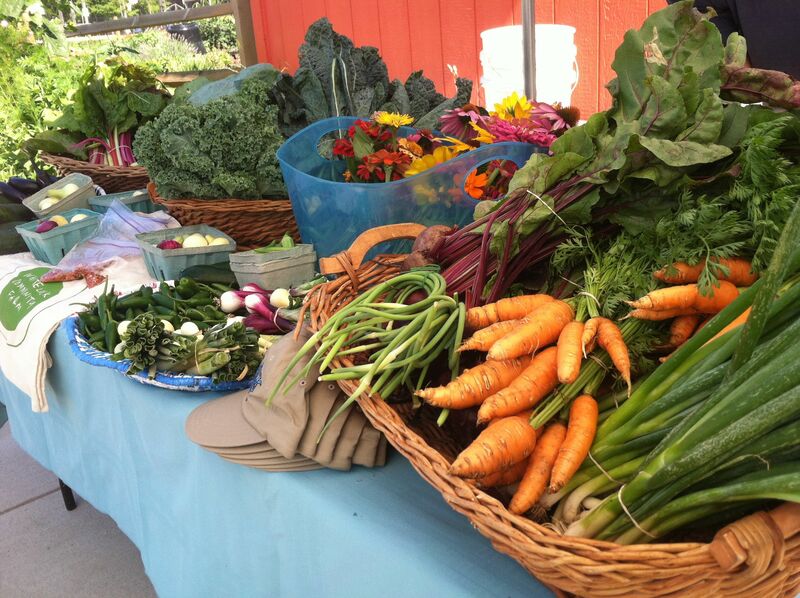 We have a CSA and a market stand open on Saturdays where residents can buy fresh produce grown at the farm. Residents can also work at the farm in exchange for produce. In August of 2012, the Linden Market, a neighborhood corner store, will start carrying our produce as well. I was drawn to sustainable agriculture because the impact is not only environmental but also social, economic and healthful. I also just really love the company of other farmers! Weeds! They are so prolific and will grow even in the poorest conditions. They are relentless and unapologetic. What’s the best part about being an artist in Baltimore? It seems like there’s a lot of possibility in Baltimore, because there’s so many neglected spaces just waiting for artistic, social projects. There is also a supportive community of likeminded artists and activists who are willing share their resources and ideas. What’s the worst part about being an artist in Baltimore? I would love to create more events that cross-pollinate performance, food, and education. Like the STEW events, I love those! I also want the farm to be a launch pad for beginning gardeners, helping people in the city grow their own food. I would love to collaborate with artists and educators on creating events around the celebration and education of healthy eating and growing food. I just learned about City Slicker Farms in Oakland, CA. 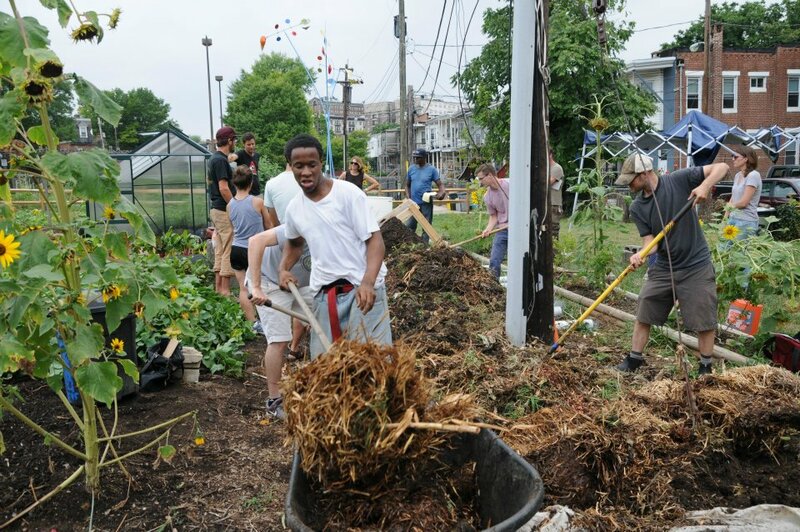 In addition to having a productive urban farm, they also have a backyard garden program. They help train new gardeners, test their soil for them, and hook them up with a garden mentor who works with them for a year. Then, in a year, the new gardener becomes the mentor, educating other backyard gardeners. Providing fresh produce to neighbors is one thing, but helping growing new gardeners that can produce their own food is where the real revolution is. How do you think artists are changing Baltimore? Artists are visionaries that help us see our world and the way we live in new ways. They help connect the intellectual with the emotional, which is a catalyst for change. At its best art moves us to take action. Are you an artist working for social justice? Do you have something to say? Leave a comment below if you’d like to fill out the Baltimore A + J artist profile questionnaire!